Look up at the sky. What do you see? Blaring sun? Dark clouds promising torrential downpours and rain-soaked socks for everyone who thought, It’s beautiful out. It’s not going to rain. For photographer Robert Schaefer and artist Jennifer Shaw, that sky provides them with all they need to make a photograph. But not just any photograph. They make cyanotypes, and they are bringing this artistry to the public on Saturday, September 29. If you are like many, cyanotype isn’t necessarily a word in your daily parlance, but with the ease this artistry entails, it soon may be. 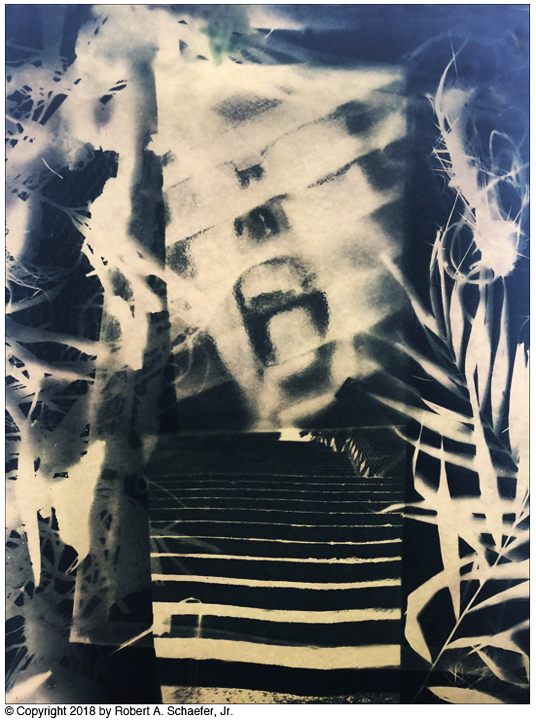 “It’s a camera-less process achieved by laying objects or transparencies on top of light sensitive material,” Shaw, who has been teaching cyanotypes at McGhee for the past thirteen years, explains. “All you need is sun, water, and a light sensitive material,” she says. This light sensitive material can take on many forms; in fact, there are few mediums that can’t be used when creating a cyanotype. Robert Schaefer, who studied 19th century photography methods in both Germany and the US and who teaches a course in New York, has tried many of those mediums. When asked which one he prefers, he says, “It depends on the image I’m thinking of creating. I like both fabric and paper.” It has been rumored that eggshells also offer a perfect place to transpose your cyanotype dreams. Although this dream of cyanotypes came somewhat out of a nightmare. That nightmare being the first publicly available photographic process, the daguerreotype, which was invented in 1839 by Louis-Jacques-Mandé Daguerre. The daguerreotype included silver-platted copper (sounds nice), a latent image (not so bad), and fumes of mercury vapors (oops). You might be envisioning the Mad Hatter at this point, and in an over-dramatic way, you wouldn’t be wrong. 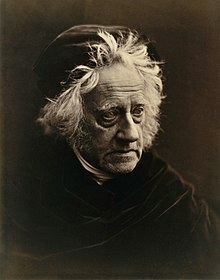 Not wanting to make the only publicly available photo process also a publicly available health epidemic, Sir John Herschel stepped in (you know, the man who also gave us the words photography, negative, positive and snapshot). He discovered the cyanotype procedure in 1842, and it continues to be used today. In fact, here’s a little story that will link the past with the present and cement the future presence of cyanotypes. As Schaefer explained, soon after the announcement of the discovery of the cyanotype, Sir John was asked by Anna Atkins, a neighbor and friend, who was a botanist and putting together a book on the subject, if the cyanotype process might be used to illustrate her book (by placing plants, leaves and flowers) on a piece of paper coated with the chemicals used for the cyanotype process. Sir John’s resounding yes to the question put Anna Atkins into motion to make such cyanotype and become the first woman to illustrate a book with photography. The New York Public Library (main branch on 42nd Street) is going to offer an exhibition of Anna Atkins, including an original copy of her book illustrated by cyanotypes of leaves, plants and flowers. 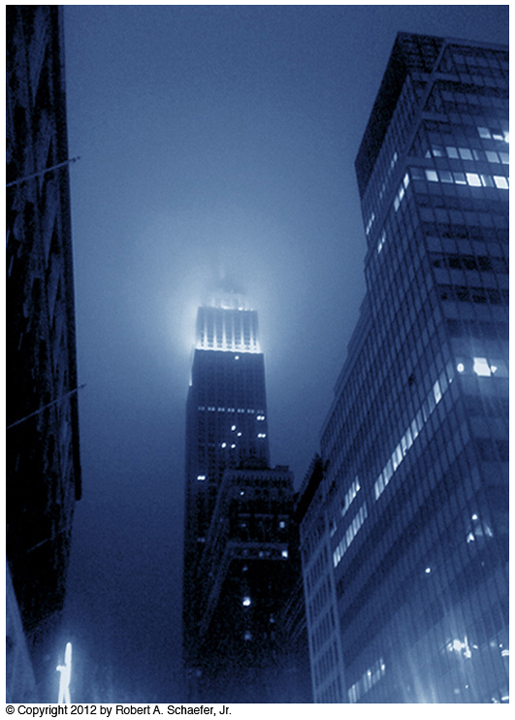 But, you don’t have to go all the way to New York to see cyanotypes. Head into an architectural firm and you will see those beautiful blues and whites outlining bedrooms, bathrooms, porches, and history. Those are cyanotypes, but you no longer have to go through years of schooling to get your hands on those blue beauties. PhotoNola, in partnership with The New Orleans Healing Center, is having a cyanotype workshop this Saturday, September 29. As Shaw says, her and Robert had wanted to “bring it [cyanotypes] to a larger group,” so this workshop will run from 10:00 AM until 4:00 PM, and it is free and open to the public. On top of being versatile and the second oldest photography printing process, it’s playful. And when you put together sun, water, odd objects, and playfullness together…well, isn’t that just the picture of New Orleans? We think so. The cyanotype workshop will be held at the New Orleans Healing Center (2372 St. Claude Avenue) on Saturday, September 29 from 10:00 AM until 4:00 PM (rain or shine). 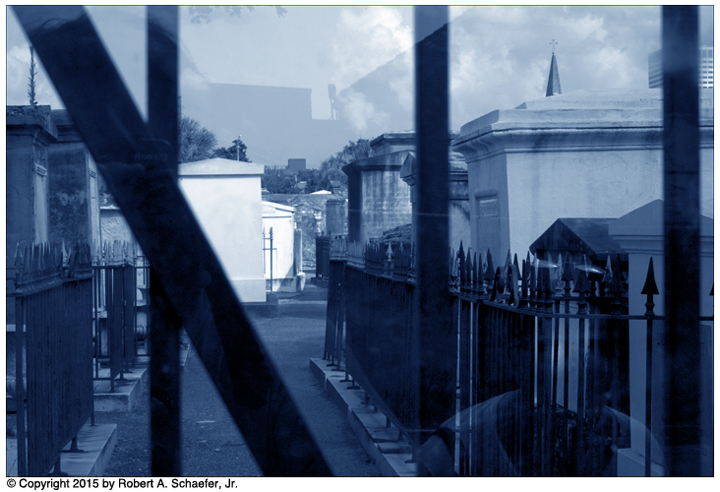 For more information about the workshop, you can visit PhotoNola as well as check out Robert Schaefer’s website and work. Art and historical narratives: An interview with Dr. Fari Nzinga, curator of The Rent is Too Damn High!